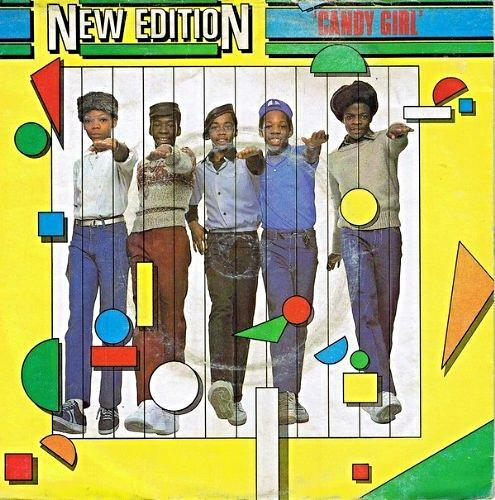 New Edition formed in 1978 in Boston, Massachusetts, with five band members Ricky Bell, Bobby Brown, Michael Bivins, Ralph Tresvant and Ronnie Devoe. The group's manager, Brooke Payne, had visions of them becoming the next Jackson 5. After performing at a local talent show, they caught the eye of record producer and songwriter Maurice Starr, who penned their single "Candy Girl". "Candy Girl" was released as the group's debut single from their debut album of the same name. However, the song failed to become a major hit in the U.S., peaking at #46 on the Billboard Hot 100. The album was a commercial flop, too, failing to even chart in the UK, and stalling at #90 in the U.S. It did, however, reach #14 on the R&B chart. In the UK, "Candy Girl" was a major success. The single entered the UK singles chart at #70 on 10th April 1983, while David Bowie was at #1 with "Let's Dance". The single reached #1 on 22nd May for one week, pushing Spandau Ballet down to #2 with "True". 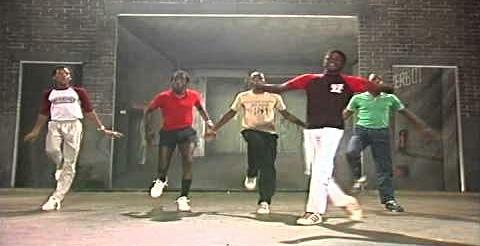 The video is a pretty low budget affair, which features the band performing their dance routines in various locations. There is no storyline or any additional special effects. However, it has a naive rawness that is very refreshing compared to the big budget 80s videos. Two further singles were released from the album which failed to even reach the UK Top 40; "Is This The End" (#83) and "Popcorn Love" (#43). Despite their poor start, the group did eventually achieve significant success in the U.S. during the 1980s, with the albums New Edition and Heart Break achieving 2 x platinum sales, and All For Love achieving platinum.